When building or renovating your home, there can be a very fine line between features that bring a wow factor and those that can deter a potential buyer. The trick is to make changes that are easily repurposed if the buyer isn’t a big fan of them without sacrificing the features that you want in your home. 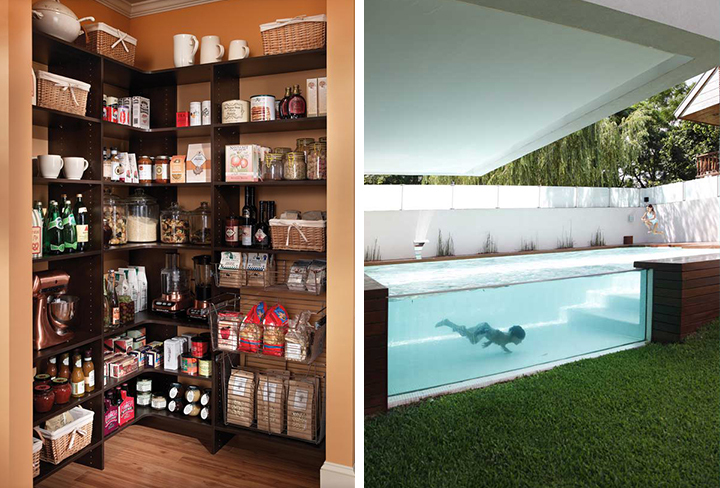 And you never know — that custom pantry or big basin-style tub might be the very thing that helps them decide! How about a big, relaxing basin tub? 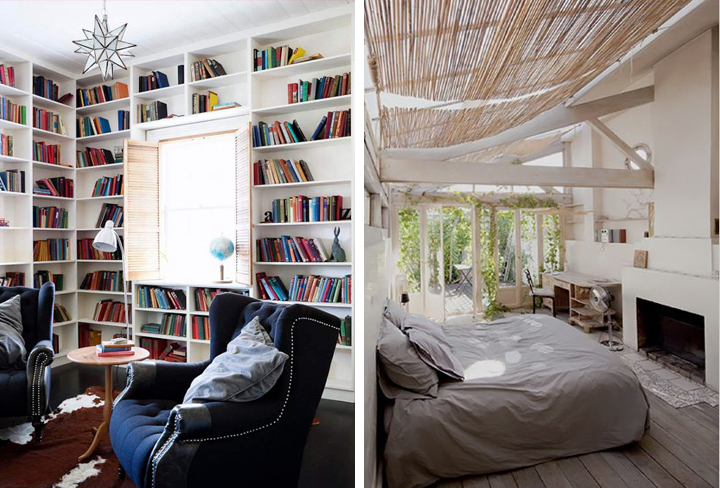 We also love the idea of wall-to-wall built-in bookshelves. And check out that open, airy bedroom! You can create the outside feel without actually putting your bed outside with skylights, rustic floors and ceiling-to-floor windows and doors. Everyone loves an organized pantry, and this one has built-in shelving, which looks much more finished than the typical wire style. And how about that above-ground pool with a glass side? We think it makes a huge statement.